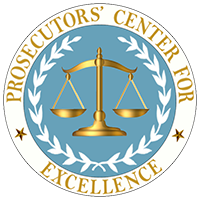 Kristine Hamann is the Executive Director and founder of Prosecutors’ Center for Excellence (PCE). PCE supports statewide prosecutor Best Practices Committees and provides guidance on policy matters to prosecutors across the country. The Best Practices Committees are devoted to proactively improving the criminal justice system and assessing emerging issues. Ms. Hamann is working with prosecutors from thirty states that are implementing or considering statewide Best Practices Committees. She participates and presents at national and statewide prosecutor meetings on a regular basis. 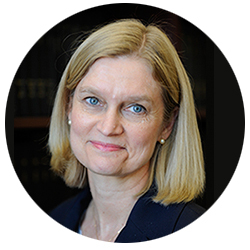 Kristine Hamann was a Visiting Fellow at the Department of Justice/Bureau of Justice Assistance from 2013 to 2016. She is the chair of the New York State Best Practices Committee for prosecutors and she is a co-chair of the National District Attorneys Association’s Best Practices Committee. In 2015 she was appointed Independent Counsel to the Conviction Integrity Unit of the United States Attorney’s Office for the District of Columbia and she is an Adjunct Professor at Georgetown Law School. From 2008 to 2013, Ms. Hamann was the Executive Assistant District Attorney for the Special Narcotics Prosecutor for the City of the New York. The office conducts international, national and local drug trafficking investigations and prosecutions, which impact New York City. From 2007 to 2008, Ms. Hamann was the New York State Inspector General. The Inspector General is charged with investigating and preventing fraud, waste and abuse in New York State government. From 1998 to 2007, Ms. Hamann served as the Executive Assistant District Attorney to D.A. Robert M. Morgenthau in the Manhattan District Attorney’s Office in New York City. Prior to 1998, Ms. Hamann held several other positions in the Manhattan District Attorney’s Office, including Deputy Chief of the Trial Division in charge of the Criminal Court, Director of Training, and Deputy Bureau Chief of the Career Criminal Bureau. After law school she was an associate at Simpson Thacher and Bartlett in New York City. She has received various awards including Prosecutor of the Year (NY State Bar Association, 2013), Prosecutor of the Year for Executive Leadership (NY District Attorneys Association, 2010), Excellence in Government Award (Albany Law School, 2008) and Public Service Award (NY County Bar Association, 2005).